Cleveland Cavaliers superstar LeBron James and perhaps still the most popular and most watched basketball superstar in the NBA, was once again name by an American sports media “Sports Illustrated” as the “2016 SI Sportsperson of the Year”. The prestigious award was the second time around that LeBron James received from the SI sports magazine. James leads the Cavaliers in winning the 2016-2017 NBA Champion and Finals MVP. This year Sports Illustrated (SI), value the hard working and leadership of LeBron James by leading his team Cleveland Cavaliers into back to back NBA Finals appearance and by leading the Cavaliers for their first ever NBA Championship is ending a 52 year drought of any major sports in Cleveland history. The Cavaliers won Game 7 of the NBA Finals after trailing 1 -3 against the defending champion Golden State Warriors, the Cavs won Game 3 and eventually won three straight games, Game 5, Game 6 and Game 7 to make history as the first ever team in NBA to ever come back from 1-3 deficit. In 2012, LeBron James was name the “2012 SI Sportsperson of the Year”, after winning his first ever NBA Championship with the Miami Heat, he was named Finals MVP, NBA MVP for the 3rd time and also won a gold medal as a member of 2012 USA Olympic Gold Medalist. James is one of only two players in NBA history to win the NBA MVP, NBA Champion, Finals MVP and Olympic Gold and be featured in Sports Illustrated in the same year the other guy was Michael Jordan of the Chicago Bulls who did it in 1991. For the last ten years SI featured the most influential athlete in every sport, in Basketball there are only two players that made on the list for the last ten years. In 2006, Dwyane Wade featured by SI after the Miami Heat won their first ever NBA Championship and Wade was named NBA Finals MVP. LeBron James made it in the list in 2012 and 2016. 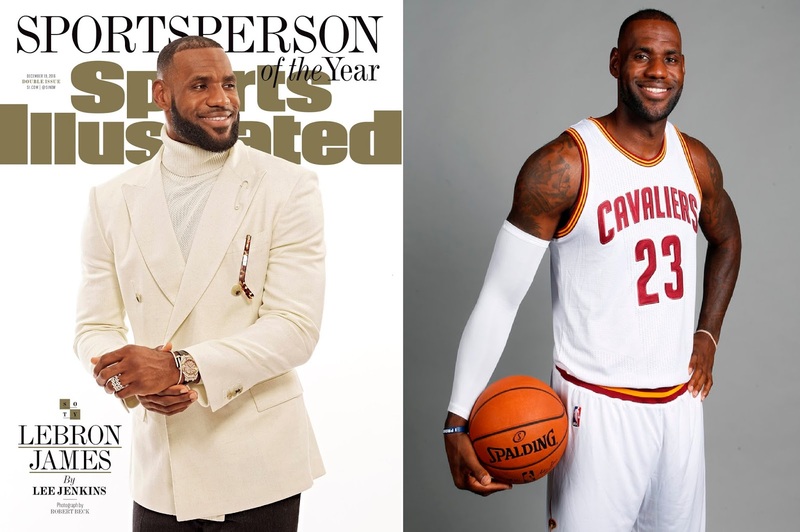 No Comment to " NBA Superstar LeBron James Name as SI Sportsperson of the Year "